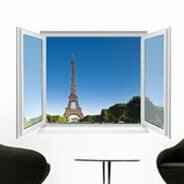 Faux, French for fake, refers to an illusion, an imitation of something that looks genuine but isn’t. 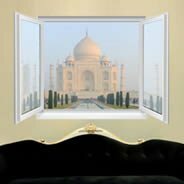 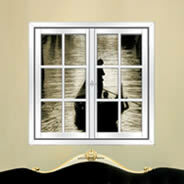 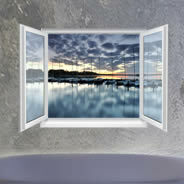 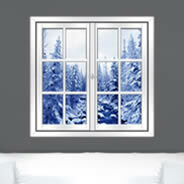 Our line of faux window murals is just that, they create a trompe l’oeil effect. 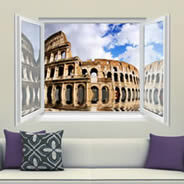 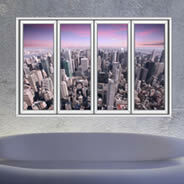 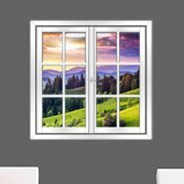 All of these self-adhesive vinyl fake window murals will add a window where there is none in minutes! 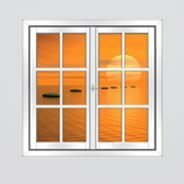 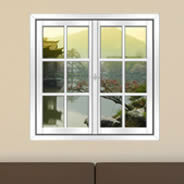 These instant windows are great for smaller spaces – both residential and commercial. 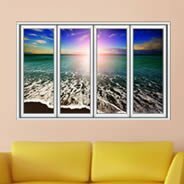 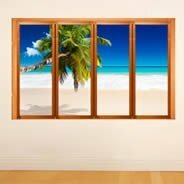 Now you can enjoy a relaxing view of a tropical beach, of your favorite landmark, a magnificent cityscape or even breathtaking mountains from your office desk or living room couch. 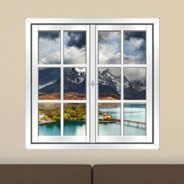 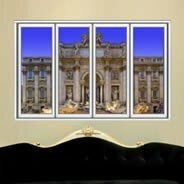 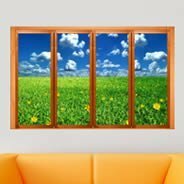 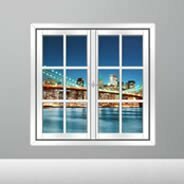 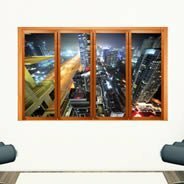 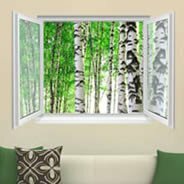 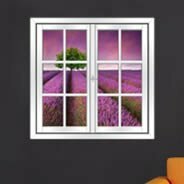 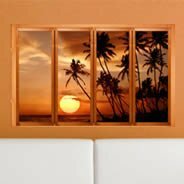 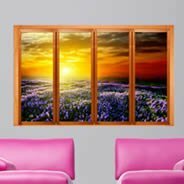 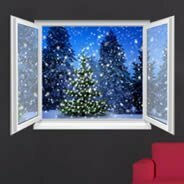 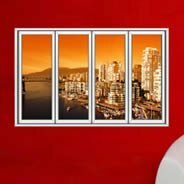 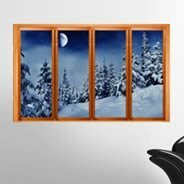 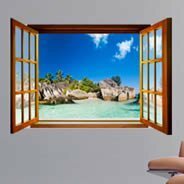 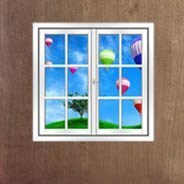 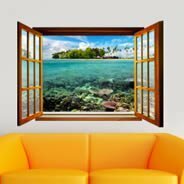 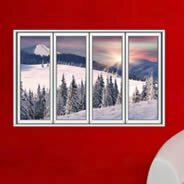 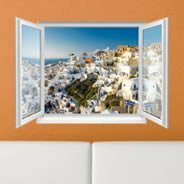 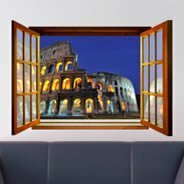 Made with premium removable and reusable mural material, our faux windows are as easy to install as they are easy to remove. 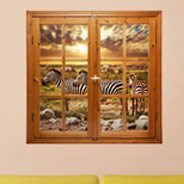 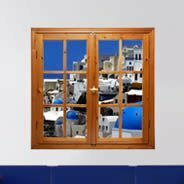 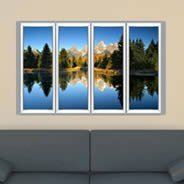 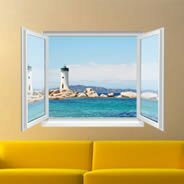 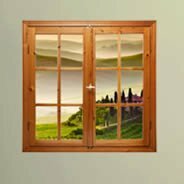 For your faux window murals, you can choose from 2 color frames (white and brown), and different frame styles (French windows, bay windows and casement windows) to match the style of your décor. 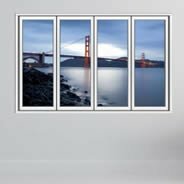 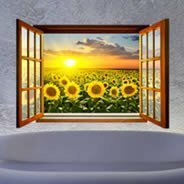 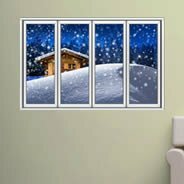 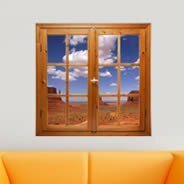 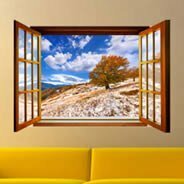 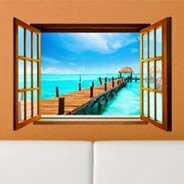 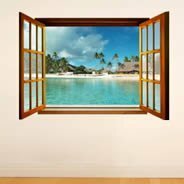 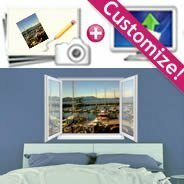 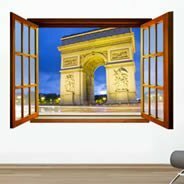 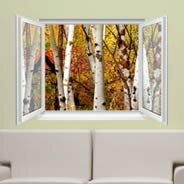 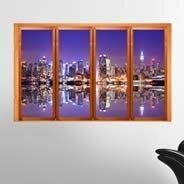 You can customize the size of the faux window wall decals so they fit your space perfectly. 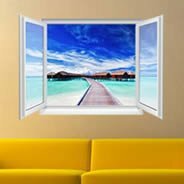 Simply enter your height and width dimensions in inches to do so.